Root Canal Therapy is a procedure that is needed when the nerve of a tooth has become harmed by decay or infection. To save the tooth from further problems, internal structures sometimes need to be removed. A doctor enters the tooth, removes the damage, and seals the tooth. 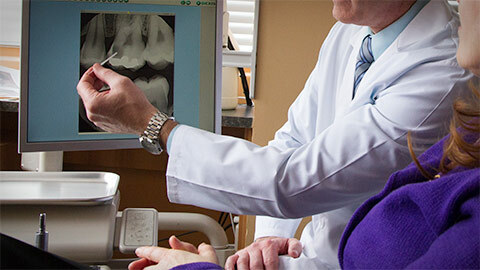 All endodontic procedures are performed by an experienced professional with many years of experience in the field. Root canals are more simple and less painful than most people think, especially when performed by a highly qualified professional. For more information on root canal therapy, or to book an appointment, call us today.